Kim’s post about her restorative vacation put me in mind of my efforts to rest more regularly. I realize how weird that sentence is. It’s bizarre to think that I have to work at resting, but it does require a concentrated effort. If left to my own devices, I will keep doing the thing I’m doing until it’s done and then I will rest. That works just fine on small projects – a blog post, running an errand, doing the dishes – but it becomes a problem when the project is any bigger than that. If I am not careful, I’ll find myself working away on a large project until I run out of time or until something more pressing comes along. I’m not a ‘workaholic’, I don’t feel compelled to work all the time, that’s not my motivation at all. I just have this mistaken idea that in order to really relax, I need to have all my work finished. I don’t want to have a time limit on my rest, nor do I want thoughts of my remaining tasks to intrude on my rest time. So it’s not that I want to do MORE work, it’s that I want it all out of the way so I can just sink into my rest. Of course, things don’t work like that. I’m a writer and a life coach and I have two teenage sons, there isn’t really a point at which I am done. Instead, I can reach ‘done for now’ and ‘done for today’ or ‘that’s enough on that project.’ – see Jennifer Louden’s ‘Conditions of Enoughness’ for a good discussion of that last point. I’m a bit nervous about resting because I am afraid that I will derail myself and not get back to my tasks. I’m sure my natural tendencies on this point are complicated by my ADHD. I want to get things done before I get distracted, I see the work as a whole unit instead of seeing it as being able to be broken down into parts, and I want the work ‘out of the way’ so I can focus on the next thing – rest- without thoughts of work intruding. 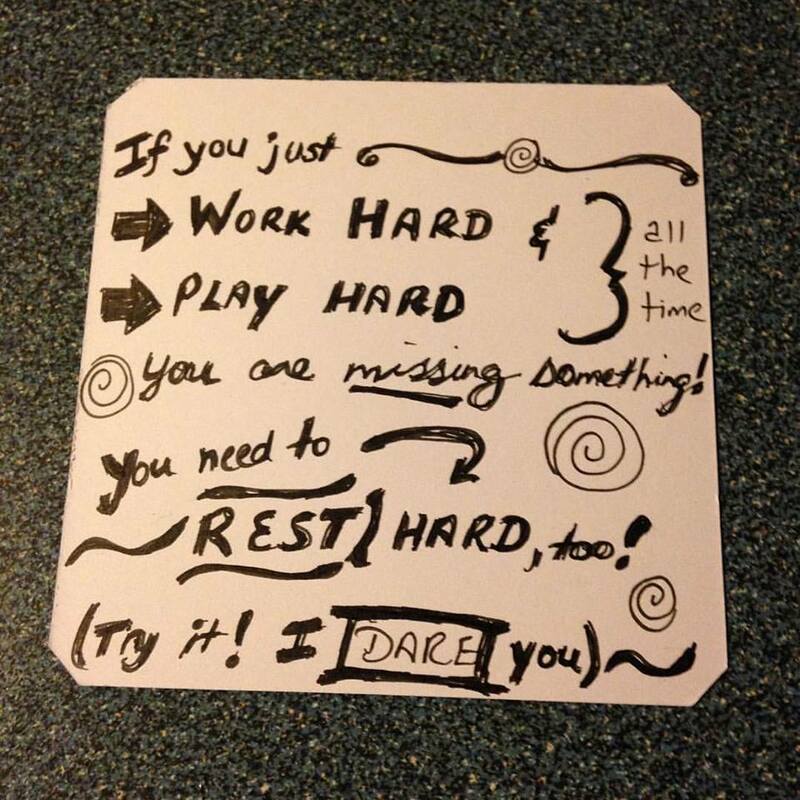 This is one of my reminder cards – I have these things everywhere! I always coach my clients to rest more often and I have to coach myself to do the same thing. I have little notes posted all over the place reminding me to take breaks. I try to pay attention to how I am holding my shoulders and if my breathing is deep enough – two sure signs of needing to rest. 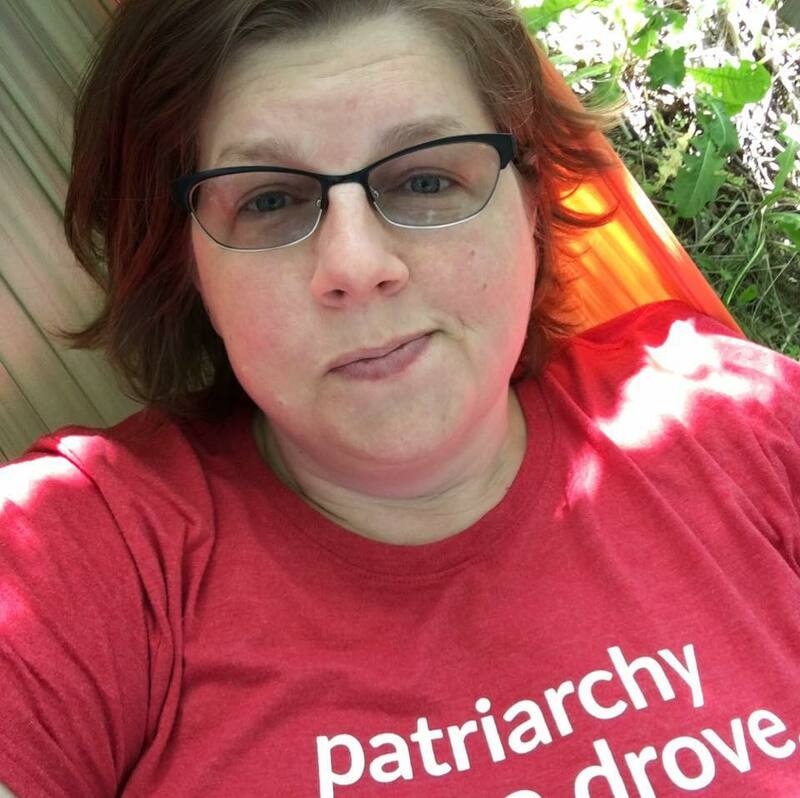 That works pretty well (unless I get deeply into whatever I am working on – my brain HATES switching tasks at that point) and I’ll end up lying in my hammock for a few minutes, or taking my tea out on front steps, or sitting down with my book for a while. However, I need more rest during my workday – especially since the nature of my work means that it doesn’t always confine itself to regular work hours. When my kids were small and home with me all day, I used to joke that if stay-at-home moms had two guaranteed fifteen minute breaks and a half an hour for lunch every day the job would be a lot easier. It wasn’t possible for me to do then but I am thinking about instituting that for myself these days (I work from home so I have a fair bit of control over my schedule). Maybe setting an alarm for a morning break and an afternoon break would make it easier for me to rest a couple of times a day. I usually have success when I take something like that out of the realm of an in-the-moment choice and make it an automatic part of my schedule. Just like Kim concluded yesterday, rest is restorative. I know that, even if I sometimes forget in the moment. I don’t want to rest more so I can be more effective in my work (that’s a side benefit), I want to rest more because I feel better when I do. How do you ensure that you get enough rest? What do you do when you are resting? Next Post Summer’s ending. Does it mean my fitness is over too? I hope not.